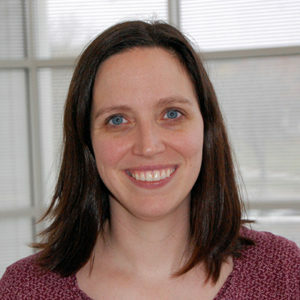 Dr. Scott Schwoerer earned her medical degree from the University of Wisconsin School of Medicine and Public Health (formerly UW Medical School), Madison, WI and completed her residency and fellowship at University of Wisconsin Hospital and Clinics. She is board certified in pediatrics. Click here to view a video profile. Tam A, AlDhaheri NS, Mysore K, Tessier ME, Goss J, Fernandez LA, D’Alessandro AM, Schwoerer JS, Rice GM, Elsea SH, Scaglia F. (2019). Improved clinical outcome following liver transplant in patients with ethylmalonic encephalopathy. American Journal of Medical Genetics, Part A. In Press. doi: 10.1002/ajmg.a.61104. Peters M, Zee-Cheng J, Kuhl A, Orozco J, Lally E, Schwoerer JS. (2018). Pegylated asparaginase as cause of fatal hyperammonemia in patients with latent urea cycle disorder. Pediatric Blood Cancer, 65(9):e27239. doi: 10.1002/pbc.27239. Scott Schwoerer J, Clowes Candadai S, Held PK. (2018). Long-term outcomes in Amish patients diagnosed with propionic acidemia. Molecular Genetics and Metabolism Reports, 16:36-38. doi: 10.1016/j.ymgmr.2018.05.004. Schwoerer JS, Drilias N, Kuhl A, Mochal S, Baker M. (2018). Genotypes of patients with phenylalanine hydroxylase deficiency in the Wisconsin Amish. Molecular Genetics and Metabolism Reports, 8;15:75-77. McCrory NM, Edick MJ, Ahmad A, Lipinski S, Scott Schwoerer JA, Zhai S, Justice K, Cameron CA, Berry SA, Pena LD; Inborn Errors of Metabolism Collaborative. (2017). Comparison of Methods of Initial Ascertainment in 58 Cases of Propionic Acidemia Enrolled in the Inborn Errors of Metabolism Information System Reveals Significant Differences in Time to Evaluation and Symptoms at Presentation. Journal of Pediatrics, 180:200-205.e8. doi: 10.1016/j.jpeds.2016.09.050. George A, Zand DJ, Hufnagel RB, Sharma R, Sergeev YV, Legare JM, Rice GM, Scott Schwoerer JA, Rius M, Tetri L, Gamm DM, Bharti K, Brooks BP. (2016) Biallelic Mutations in MITF Cause Coloboma, Osteopetrosis, Microphthalmia, Macrocephaly, Albinism, and Deafness. American Journal of Human Genetics. 1;99(6):1388-1394. doi: 10.1016/j.ajhg.2016.11.004. Scott Schwoerer J, van Calcar S, Rice GM, Deline J. (2016). Successful pregnancy and delivery in a woman with propionic acidemia from the Amish community. Molecular Genetics and Metabolism Reports, 8:4-7. doi: 10.1016/j.ymgmr.2016.05.003. Schwoerer JA, Obernolte L, Van Calcar S, Heighway S, Bankowski H, Williams P, Rice G. (2012) Use of Gastrostomy Tube to Prevent Maternal PKU Syndrome. JIMD Reports. 6:15-20. doi: 10.1007/8904_2011_95.